Who doesn’t love mashed potatoes? 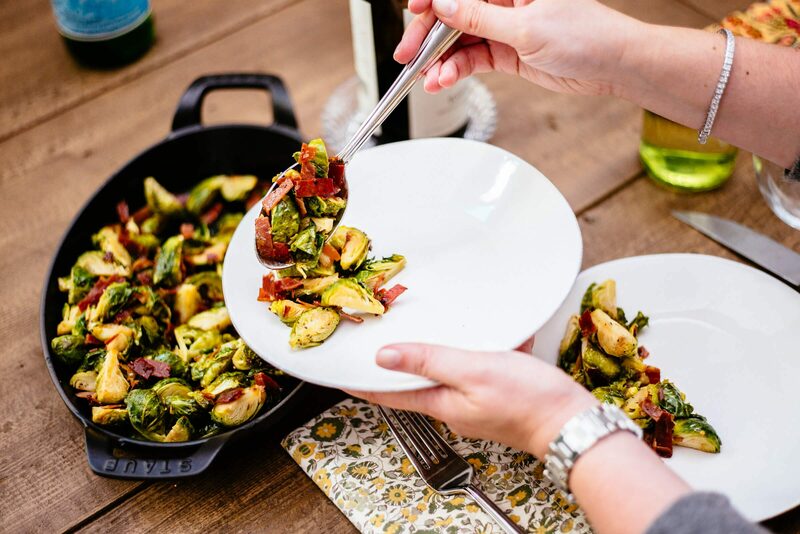 The holidays will be here before we know it, so we wanted to go ahead and share a few recipes so you can get ahead on planning. The last thing anyone needs is overly-complicated recipes when you’re trying to pull together a whole holiday meal for friends and family. These mashed potatoes couldn’t be easier. Also, they’re a part of an exclusive fall dinner menu going out to our new email subscribers next week. It’s perfect for a family dinner or a date night, so be sure to sign up to get it! Roasted garlic takes these mashed potatoes to the next level. 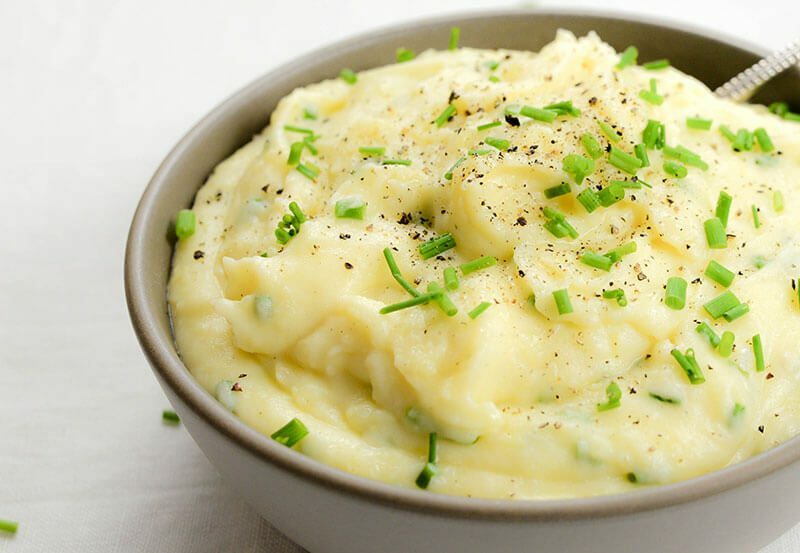 We also love to make these smoked gouda mashed potatoes, but these are just as flavorful and probably way better for you. Roasting garlic in the oven mellows out the sharp garlic flavor and it turns the whole garlic head into a rich, creamy paste. Learn how to roast garlic in the oven here. To finish the roasted garlic mashed potatoes, let the roasted garlic head cool, then squeeze the soft garlic paste into a pan of yukon gold potatoes and mix with a little half and half. 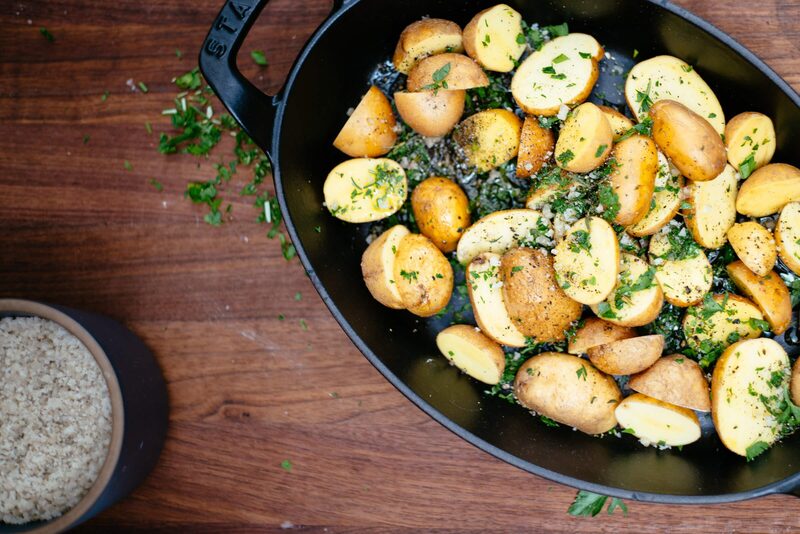 You can boil the potatoes ahead of time, and roast the garlic while something else is cooking in the oven and have these on the table in 5 minutes! Don’t forget to become an insider here so you don’t miss out on our exclusive email content. Subscribers are getting a full menu to go with these roasted garlic mashed potatoes, including wine pairings, our favorite new finds, and an organized shopping list so you can pick up everything you need to make the menu! In a sauce pan, bring salted water to a boil. Add potatoes and cook for about 20 minutes or until fork tender. Add half and half, butter, and squeeze out the roasted garlic paste from the head of garlic. Mash with a masher or spoon. Salt and pepper to taste. Add more half and half and/or butter if needed.